To go to the vet, to go to a dog show, to go on holidays, to go anywhere, everywhere. 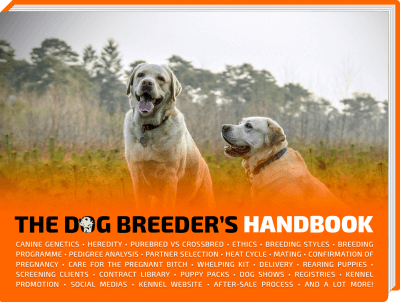 Dog carriers and dog travel crates are an extremely important part of the dog breeder (and dog owner)’s equipment. Because we move, drive, use buses and trains, we must offer our dogs a comfortable dog house that is mobile, lightweight but solid and spacious. 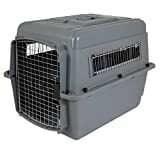 Differences between dog carriers, dog crates and dog cages? Dog carriers are just for transporting dogs from point A to point B whereas you can absolutely leave your dog in its crate or cage while you are away for a bit as it is much more spacious. A carrier is more of a lightweight soft bag that is ideal for short journeys, smaller dog breeders, and puppies. Dog carriers tend to be more about the look and feel where dog crates and cages are more functional though much less stylish. Price-wise, there is no rule. Carriers, cages and crates come in so many variations that you can find some cheap products and luxurious ones with astronomical prices. You really need to find the right balance between quality, usability, look and price. We have selected the best items in each category below, these are sure choices! 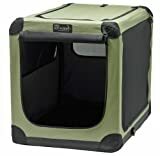 Sturdy, robust and stable, dog crates are definitely what you should look at if you want your dog to have a solid travel dog house that will last. 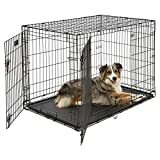 Offering a feeling of security, metal dog cages and crates are considered as a safe den by dogs and they actually enjoy being in there as long as you never associate these with punishments or bad experiences. Because of the wired sides, you still have the opportunity to touch your dog and give treats to soothe the dog’s anxiety. 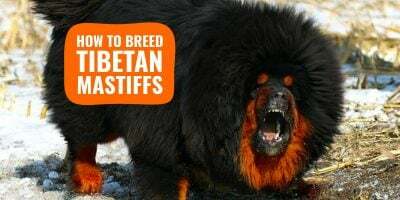 They are your ideal choice if you are planning to attend dog shows and dog events as it will make your dog feel safe and secure while both of you are away from home. The ventilation is ideal as the wired sides allow an unobstructed air circulation. Choose a collapsible metal cage so you can transport it easily, and save some space when not needed at the moment. Handles are extremely important if you are going to use it mainly for travel. The metal should be coated so it protects it against dirt and rust. Ergonomic, plastic crates are ideal for car and train journeys, they are light and designed for mobility. 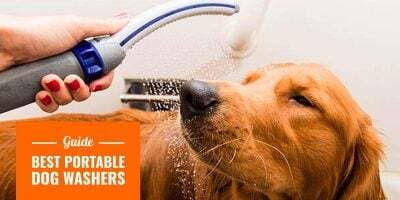 Most of them use a heavy duty plastic shell that protects against most shocks and resists dog bites. The handle is essential and it must be solid enough to bear the weight of an agitated large dog, a 42 inch dog crate is large enough to comfortably contain a large adult dog. Plastic crates are much smaller than metal crates so they cannot really be used as dog houses. They should be used solely as transportation cages. When buying a plastic dog crate, you must choose one designed with a great air flow system so the dog can breathe properly even in high temperature. More and more plastic crates meet the requirements for airline travel which is a plus. Flexible and space-saving, soft crates can be set up and folded down in seconds requiring no tools. The panels are usually made using tightly weaved mesh fabric, surrounded by an extra-resistant steel frame. 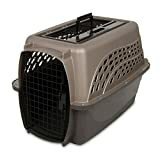 Soft dog crates are not good enough for transportation as they tend to be flimsy, even for the most expensive ones. They should rather be used for your small dog or puppy to have a little house available at all times. Never use one if your dog tends to chew and bite whatever it can as it will most likely break the mesh after few hours. 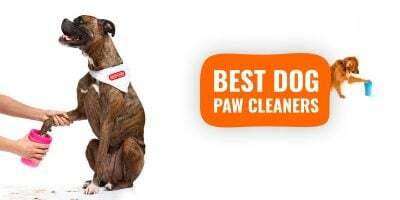 Should you buy a soft dog crate, pick one offering a water-resistant, easy cleanup material so you can simply wipe down to material and leave it to air dry. Flying with your dog requires paperwork and a specific travel cage that has to be compliant with the standards defined by the International Air Transport Association. 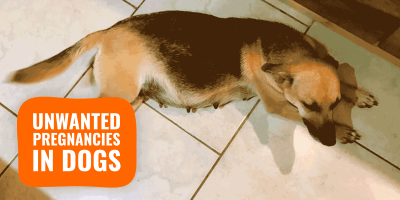 These standards are safety-focused measures for the dog and the plane itself. There are more and more IATA-compliant Dog Crates available on the market as it is more frequent now to fly with your dog than it used to be. Designers decided that transporting small dogs or puppies from point A to point B should be done in style. They created purse-like dog carriers and dog bags. The names are self-explanatory, they look like bags or backpacks and you have to carry them. Unlike with crates and cages, you cannot leave your dog in your carrier or bag, it is only for transporting them with you. Dog carriers and dog bags are lightweight, stylish and come in different shapes: there are shoulder dog bags, backpack dog bags, dog rucksack bags, trolleys and even strollers have lately started to appear. Commonly made using nylon, these soft bags are good choices for short journeys as long as they are functional on top of being nice looking. You should go for a dog carrier with pockets and compartments for the leash and some treats, but also a padding on your shoulder so the weight does not hurt you after minutes. There are so many dog breeders and dog owners liking different styles of dog travel carriers that it makes it impossible to come up with the perfect ideal one. We have, however, picked a wide range of top choice, high quality, dog carriers and bags. These various dog crates and quality dog carriers are only a few amongst many, but each one is the first choice in its own category. It is for you to know what use will you make of your travel carrier and then go for a professional metallic crate or a more ergonomic quality dog plastic carrier.